If you’re a doctor, you can go into pediatrics, surgery, emergency medicine or any of dozens of specialties. If you’re a lawyer, you can practice tax law, criminal law, family law or more. And just like those professions, the IT pro has a handful of impact areas to ply their trade. Security, networking, cloud systems…the top-notch tech expert can make a nice living working in any of those sectors. So why not get some background in all of it? Ambitious students can get thorough training in all the most sought-after arenas and prep to earn key credentials as well with The CompTIA Certification Prep Bundle. It’s on sale now at over 90 percent off, just $59 from TNW Deals. 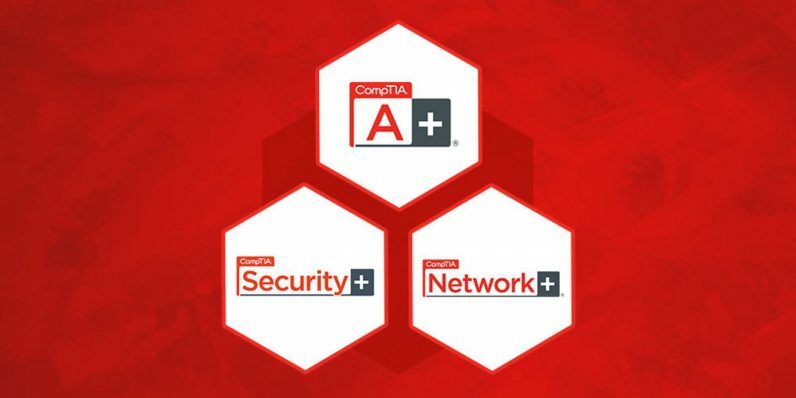 Best of all, these are CompTIA-centric courses, presenting learners with the essentials for passing CompTIA certification exams. That serves as valuable currency on the red-hot IT job market. If you want to learn the ways a qualified admin can secure a network and protect against cyberattacks, it’s here. If you want to implement, manage and troubleshoot networked systems, it’s here. If you’re a visual learner, this training is chock-full of video tutorials, so you can actually follow along with the instruction. Even if you have no IT history, this package can get you started — and at hundreds of dollars off the retail price for this training, the price is definitely right. Get all five courses now for around $11 each while this deal lasts.